Angleton, TX is the picture of small town life in South Texas. There are American flags and barbeque. Pick-up trucks and baseball hats. Market Days at the fairgrounds and Wildcat football on Friday nights. Tucked away in a quiet neighborhood, at the corner of West Live Oak and Hancock Street, rests Community of Love United Methodist Church. Large trees anchor the rear of the grassy corner lot, and one can imagine children playing tag in the shade of their branches on Sundays after church while their parents linger to visit on the sidewalk. But when the Rev. 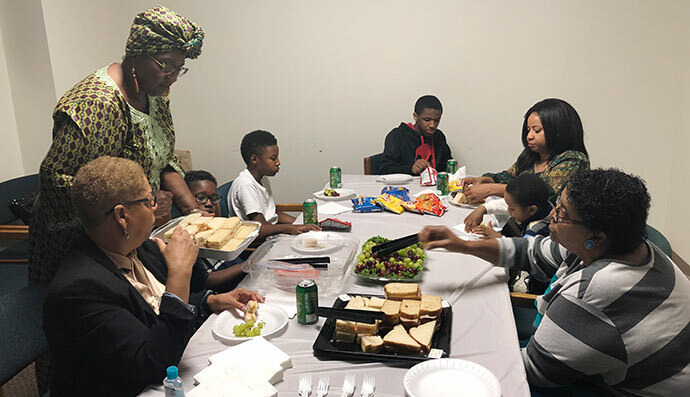 Dr. Dorothy Smith-Hubbard arrived to pastor Community of Love two years ago, she discovered it had been a long time since the sound of children’s laughter had drifted across the church lawn on a Sunday afternoon. “Our congregation is mostly middle-aged and older adults. At one point we had some children, but there was a change in programming and we lost them. There have been no children at all in Community of Love for several years,” said Smith-Hubbard. Smith-Hubbard longed to see children return to Community of Love. 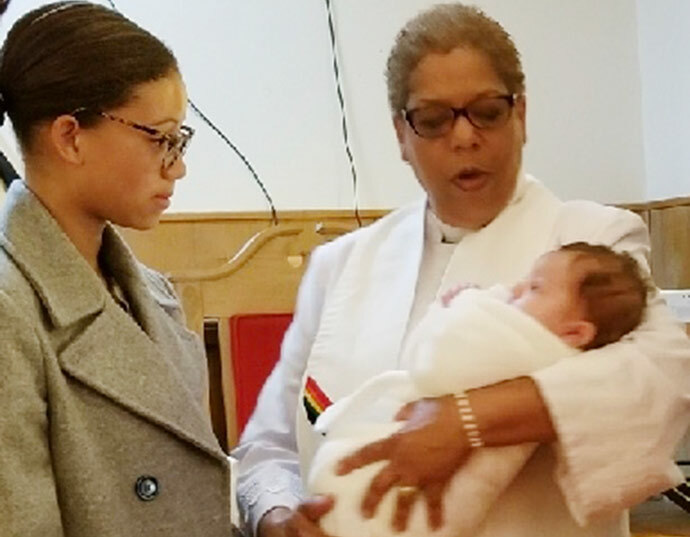 Bishop Scott Jones’ “We Love All God’s Children” initiative further convinced her that it was time for her church to intentionally reach out to the children in their community. Smith-Hubbard began by laying the foundation for future children’s ministry through a teaching series on the importance of reaching children for Christ. Next, the congregation entered a season of prayer in which they sought God’s guidance and blessing for the ministry ahead of them. In the autumn of 2017, Community of Love took the first steps in bringing the ministry to life. After months of prayer and planning, Community of Love appointed a three-member staff to build a children’s ministry from the ground up. 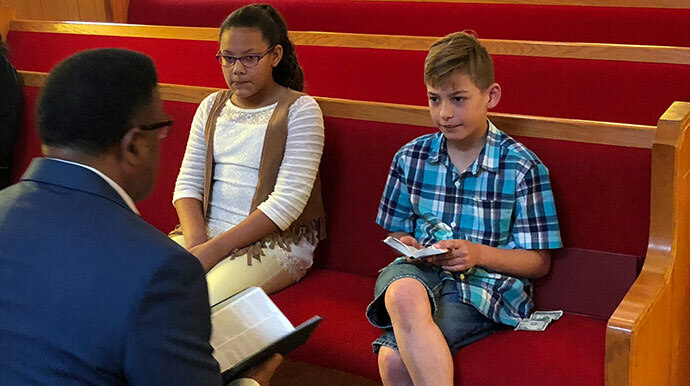 The leadership has met weekly to carefully plan a scripture-based curriculum for both children and youth as well as brainstorm an outreach strategy. For the first youth event, Community of Love extended a pizza party invitation to the entire community. Volunteers distributed flyers at the local high school, middle school and elementary school. The party included age-appropriate Biblical teaching followed by a time of discussion. As Community of Love began getting to know the children in their neighborhood, they realized that many of them were experiencing food insecurity. And so, they did what Jesus would do. They began feeding them. The children of Angleton are responding to the kindness they are receiving from Community of Love. The church, which averages 30 members in worship, is growing both numerically and in racial diversity. Last September there were no children in the church. Seven months later, the church has nine regular attendees in the children’s ministry. As parents have witnessed God’s love for their children, they too have begun attending worship. As a result, the church, which is historically African American, is welcoming their white neighbors into worship. Children’s ministry is destined to change Community of Love forever. It will be noisier. Messier. Maybe even a little chaotic too. Smith-Hubbard and her congregation agree that welcoming children back into their worship community is more than worth it. “When people know how much you care, they have a tendency to begin blooming,” Smith-Hubbard said.